KingsStock Music Festival takes place this weekend, 10th-12th August 2018, at Moggerhanger Park in Bedfordshire, UK, featuring an impressive lineup of artists. Performing this year are Philippa Hanna, Daughters of Davis, Marc James, The Bright Expression, Chloe Reynolds, Speak Brother, Pyramid Park, Tina Boonstra and many more. 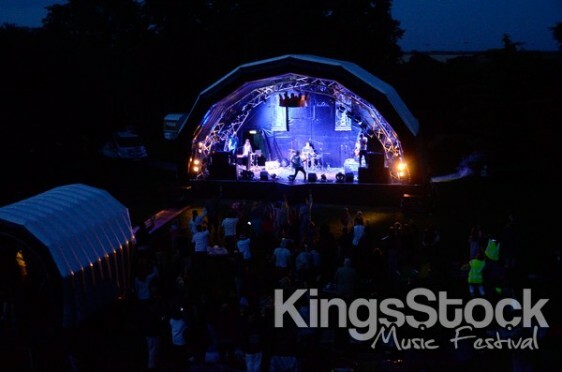 KingsStock is now in its 9th year, and is a true grassroots festival, which originally sprang up in a garden, then grew following a move to a farm, and is now flourishing in the parkland of a stately home. This 'organic' approach to building a great festival has proven to be a good route, and the fest still maintains a welcoming personal feel. The festival champions UK based bands and artists, and manages to have an international flavour to its line up regardless of this apparent limitation. KingsStock has gained a reputation for breaking new acts. The event runs for 3 days, and has 3 stages, each in their own walled garden. There will be 30 acts, and they are timed so that it is possible to see every band back to back.